Charlie Weaver was raised in Westport Connecticut. He fell in love with Aspen the first time he visited it with his father in March of 1956 to ski during a Spring Break. Charlie moved to Aspen full time in 1969 and has been in the real estate business ever since. He remembers when the first house in Aspen sold for one million and all the brokers said that will never happen again. Today you can’t buy a home in Aspen for that little. 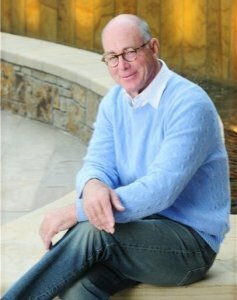 If you are thinking about buying or selling property in the Aspen area and would like discuss it with Charlie, he would be glad to talk it over with you in the office, on the ski slope or over a round of golf at The Maroon Creek Club. If you tell him what is perfect, he will find it for you.